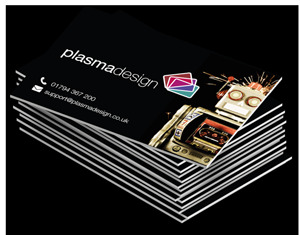 Our paper cards are manufactured using a thick 350gsm ultra-white stock and printed in full colour on both sides. Matt lamination protects the surface. We start with a thick 350gsm ultra white stock. Both sides are printed in full colour as standard. We then apply an ultra-thin layer of matt finish plastic to the front and back surfaces. 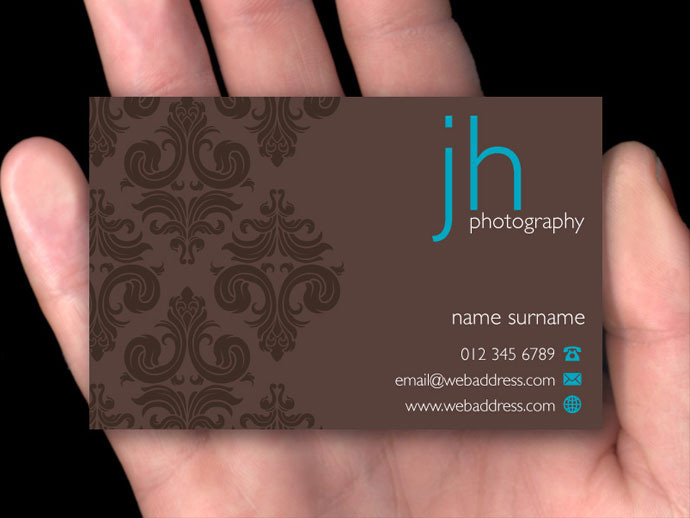 This matt lamination gives the card a unique texture while offering protection against discoloration and fading. 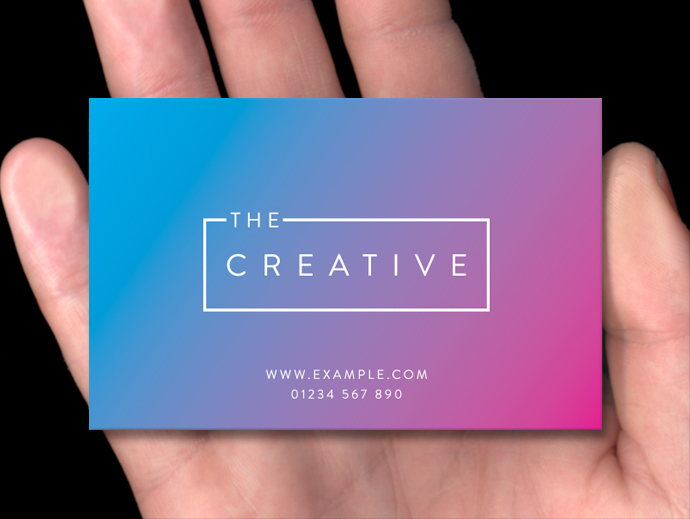 We also offer a UV spot gloss finish to accent particular areas of the card. This adds contrast in textures between the matt card and the UV spot gloss. 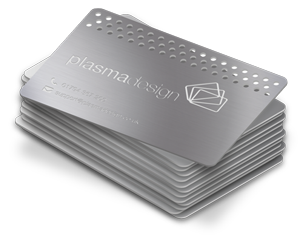 We now offer an optional range of beautiful metallic foils. 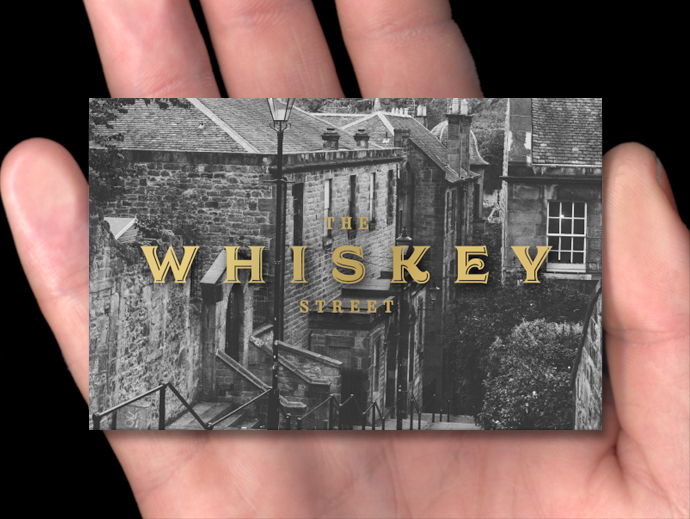 The foil is applied to our 400gsm matt laminated card using traditional artisanal techniques, with each card foiled by hand, one by one. 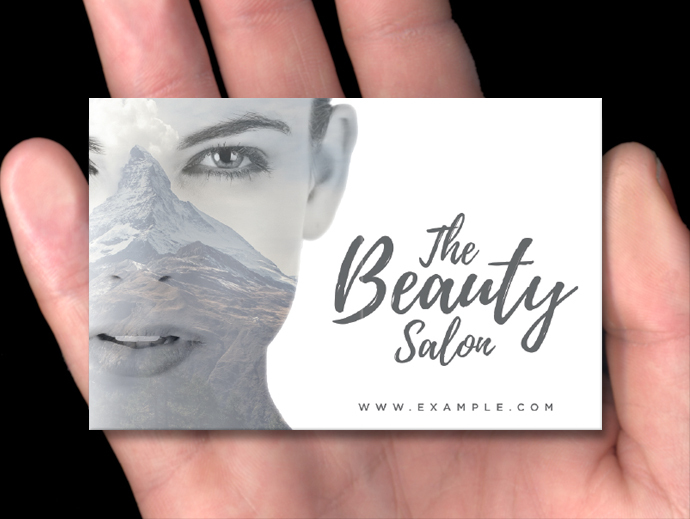 Metallic foil can look particularly effective when adding simple detailing to the card, maybe a foiled company logo on the reverse of the card for example. As well as being fully recyclable and biodegradable, the pulp used when producing the stock for our standard cards is sourced from managed forests. We only print with eco-friendly inks, which contain sustainable vegetable oil instead of mineral oil. 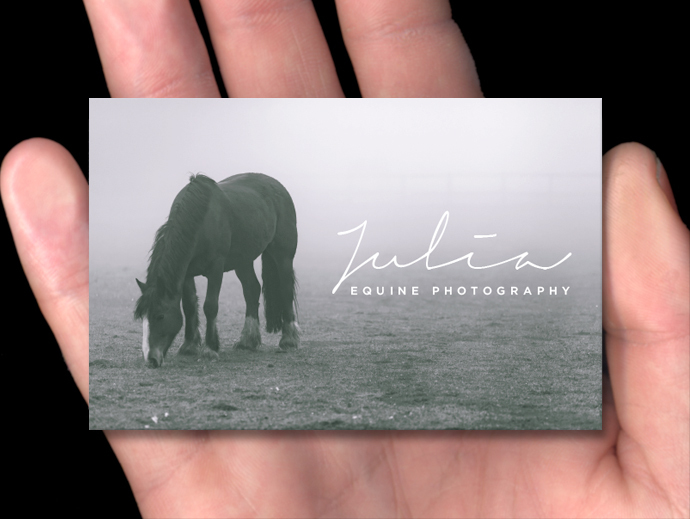 Designing a business card is no picnic. 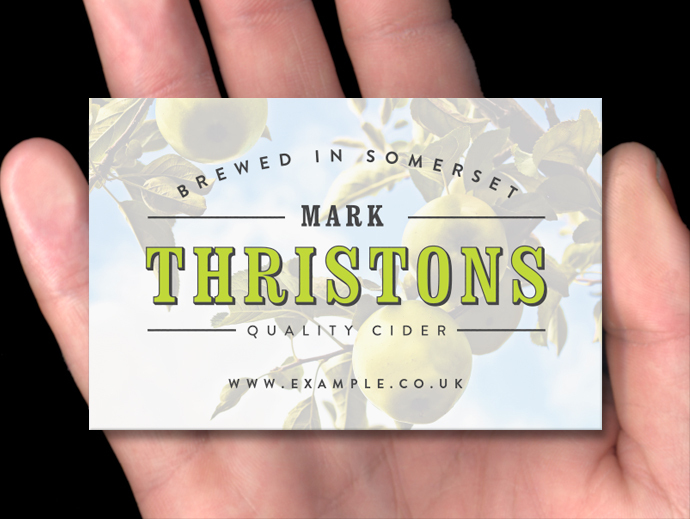 Fortunately, we provide a completely free design service to all customers who don’t already have artwork. Once we have collected a few pieces of information, our design team will put together an initial concept. 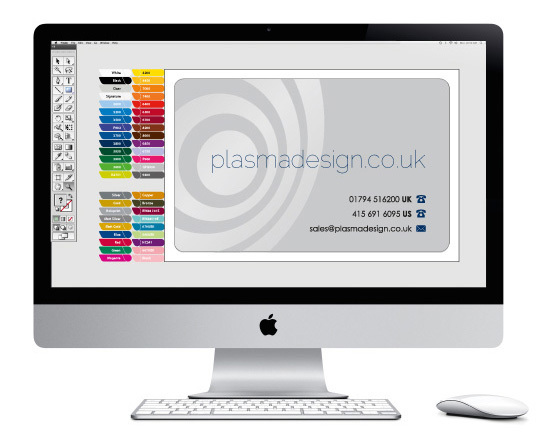 We then create a photo-realistic digital mockup using our innovative proofing system. 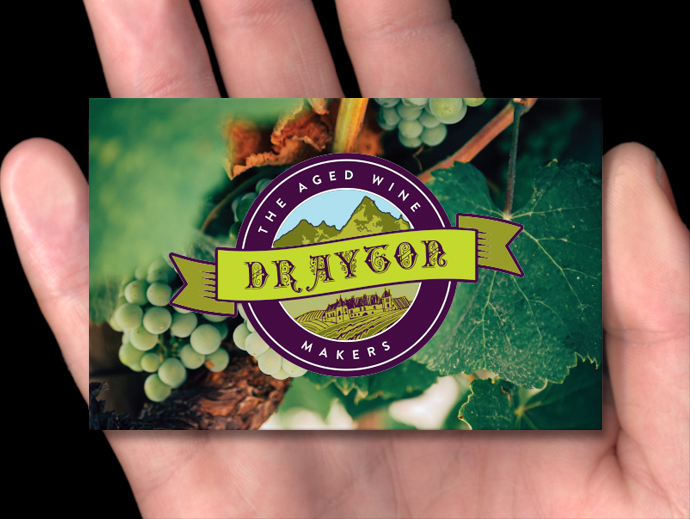 This shows how the card would look once produced. Using your feedback we make revisions until you are 100% happy with the layout.